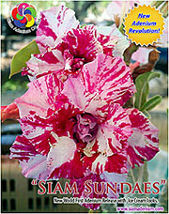 "The Biggest Adenium's Revolution with new forms"
also have a big problem with new players because they are not familiar with Adenium hybrids or characters so they hardly decide and select what hybrids will be able to grow in good form. This will come up with the next question “What is Adenium with good form gonna be?”. About 3 years ago, players here were so serious about true hybrids, not even think much about form because they are very serious to get seedlings grown from true mother plant only. Two years later, Bonsai begins into Adenium especially with Adenium : Thai Socotranum. Players or growers start applying Bonsai’s technique with Adenium : Thai Socotranum. Actually, Bonsai has come to Thailand for many years ago but mostly using with Adenium Obesum : Thai Root Stocks grafted with flower varieties. Last year, Adenium : Thai Socotranum was very popular because they can grow in Bonsai form ,in term of seedling, much more than other Adenium hybrids. Why can they be Bonsai form? The reason is her characters are bushy or symmetric branches, antique caudex skin or wrinkle skin and especially with spread root easy to organize them as Bonsai. All of these factors can make them become Adenium Bonsai Seedlings. 1. Bonsai Form with spread muscular root, Dwarf form, antique caudex skin and symmetric branches style: This characters is mostly originally developed from mixed hybrid between Thai Socotranum and Arabicum. 2. Bonsai Form with spread centipede root, antique skin and bushy branches : This Adenium is developed from Thai Socotranum with dwarf form. 3. Bonsai Form with spread root, antique skin and symmetric branches. 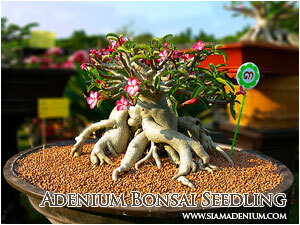 This Adenium is developed from Thai Socotranum : Golden Crown. 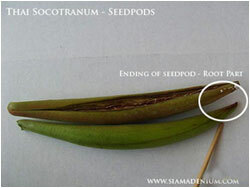 I think you just focus on only 3 forms above, this can help you easier select what Adenium seedling you can get. You can see more information from this link. Have a nice weekend.